Ko te whae a te iwi katoa he tangata, he tangata hei arahi, hei whakatakoto kupu, hei whaakahua mo tatou katoa. The desire of our people is a man, a particular man to lead, to transmit thoughts, to be representative of our people. So wrote 30 year-old National candidate Winston R. Peters of Ngātiwai descent in his campaign brochure when he first stood (unsuccessfully) for parliament in the Northern Māori seat in the 1975 election. In the brochure Peters added: “A vote for me will be a vote of confidence in yourself for I seek only to be a Voice for the Māori People. One chance is all we need to prove to the nation we can be victorious.” Even then, in the reference to victory, there was a nod to his namesake Winston Churchill, a politician he’s always admired. 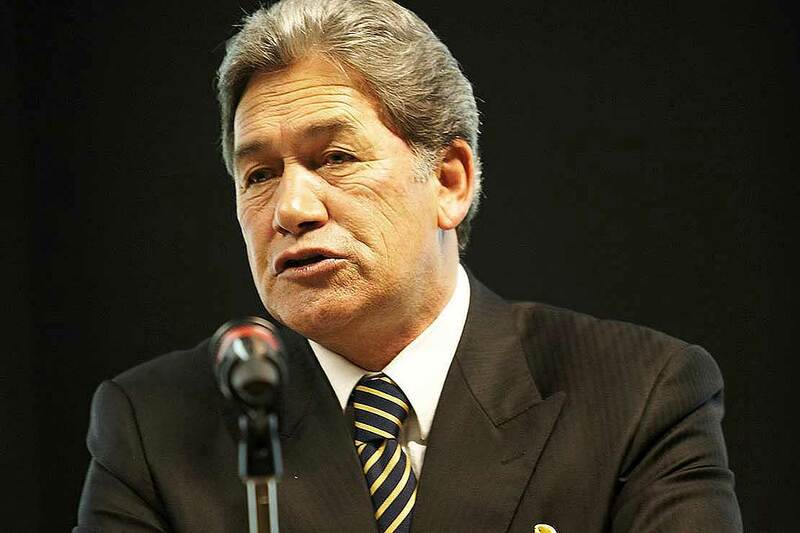 It’s 43 years since Winston Peters first stood for parliament, 25 years since he formed the NZ First Party. With Peters as Acting PM it’s a timely opportunity to revisit his role in politics and how he and his party have influenced New Zealand’s political landscape. Although his political purpose has moved a long way from being a voice of the Māori People only, his party owes its position as a serious political force to Māori voters. Hopeful that NZ First would actually be the Voice for the Māori People the party won 13% of the vote and 17 seats, including all five Māori seats, in New Zealand’s first MMP election in 1996, after which NZ First held the balance of power and propped up the 1996 National-led government. The 1996 election cemented NZ First’s position as the third party to take most notice of in subsequent elections. Since then a vote for NZ First has been a protest vote against Labour and National rather than a vote for Māori. NZ First took over the third party protest role from the Social Credit party, which had occupied this slot over 12 elections from 1954 to 1984. Since 1993 NZ First has contested nine elections and its nationwide vote has ranged between 4.07 and 13.35 per cent. Protest party popularity tends to rise when voters think the outcome of an election is not much in doubt and a major party or candidate is able to win without their vote. It falls when elections are competitive and voters return to the main parties because they feel their votes are pivotal to the outcome of the election. Social Credit and NZ First’s highest votes have come in elections when the opposition has been at its weakest and a change of government hasn’t been on the cards. Regardless, progressives don’t like Peters because of his populist rhetoric and nativist policies. Conservatives don’t like him because he highlights the plight of New Zealanders who haven’t benefitted from globalisation. Peters understands that both major parties, in their rapacious desire to globalise, modernise, and liberalise have left many New Zealanders behind. For this reason I think it’s a pity that Winston Peters never fulfilled the destiny he saw for himself as that “particular man to lead” New Zealand as Prime Minister for a full term or more. Both major parties, representing the dominant political culture in whose interests the electoral system works, have thrown everything they can at denying them that chance. If people think Peters’ decision to have an invisible board of unelected party members choose which party to go into coalition with after the 2017 election was undemocratic, the way the major parties rig the electoral funding rules in their favour is an even more serious affront to democracy. They have made it increasingly hard for third, minor, protest parties to access the funds they need to be able to promote alternative policies and candidates, and stand up for those without a political voice. In the first MMP election in 1996 the minor party proportion of the party vote was 34%. In 2017 the minor party share was 18%. Of New Zealand’s minor parties, only NZ First has survived the entire 21 years since the introduction of MMP. It will be a very quiet place indeed when Winston R. Peters decides to retire from politics.